Are you a floater? I wasn’t, but I’ve been converted after a trip to Berkshire’s only dedicated float centre, Floating Point in Pangbourne. I’d also read a blog post recently claiming that 1 hour’s float = 4 hours of deep sleep. As a knackered working mother, wife and all round frazzled egg who laughs in the face of ‘deep sleep’ (what the hell is ‘deep sleep’?! Never heard of it.) that for me was the clincher. 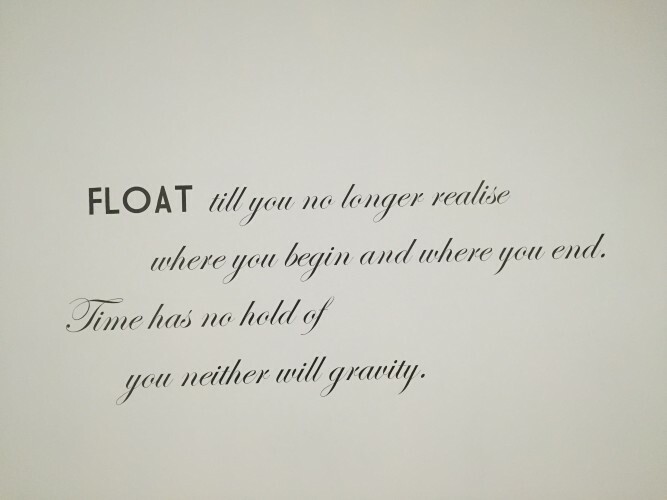 If you’ve never floated before, the theory is simple. You are removing the sensory input to your brain, creating an environment that allows for greater focus, deeper meditation, and more effective thought. Floating is a method for achieving a state of calm, reducing stress and improving overall physical, mental and emotional health. I was fascinated and totally up for it! The fibreglass pods are filled with over 500kg of Epsom salt dissolved in about 100 litres of water (denser than the Dead Sea). You climb into your pod, shut the lid and float on your back in complete silence and darkness. In theory, after about half an hour your brain shifts into theta waves, bringing you to another plane of relaxation and clarity (something I can usually only achieve with child banishment, a trashy magazine and a Cadbury’s Creme Egg). 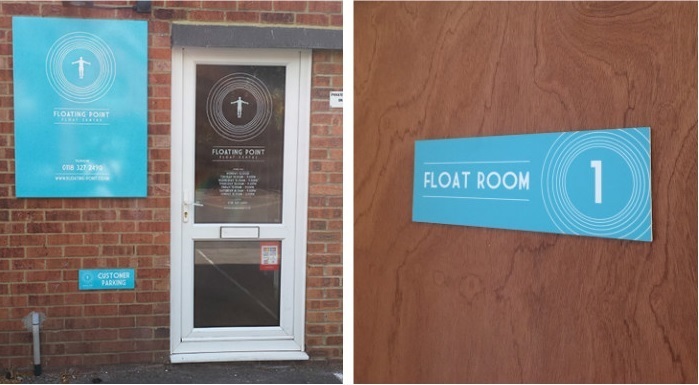 The Floating Point is one of only 10 dedicated float centres in the UK (and the only one in Berkshire). Run by Michael Cordova and his fiancé, who got into floating a few years ago when they were working as teachers in an inner city London school. After a mentally and physically exhausting day they were looking for something to do to relax (I guess crash landing on the sofa with a family bag of Wotsits isn’t for everyone. Go figure). They’d tried yoga and different therapies but found it hard to commit to a regular class. 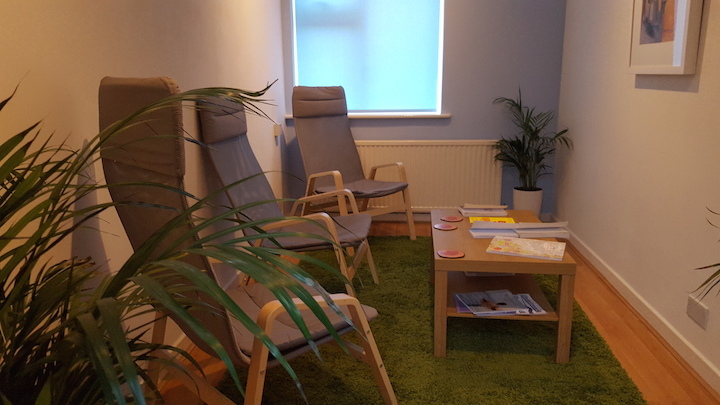 After just one float at a centre in London they were immediately hooked, finding it a great release and very addictive. Floating Point is their baby. A small unassuming building on a residential road in Pangbourne, blink and you’d miss it. The centre, although not a luxury spa, is tastefully decked out, neat as a pin and has two floating pods, along with a quiet room for relaxing after your float, a studio for yoga and pilates classes and a therapy room where visiting therapists do all kinds of sessions including Indian head massage, reflexology and life coaching. After talking to Michael about what to expect, I chose my relaxation music (I went for rain drops and thunderstorms, but you can choose from a musical menu – anything from ‘sounds of the sea’ to ‘morning awakes’). Then I stripped off. Yep. Totally nudey nah-nah. 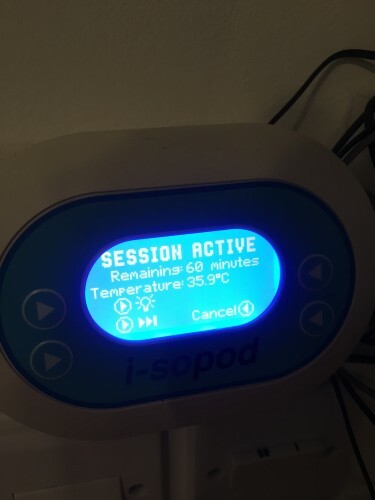 Don’t worry your pod is in your own private Float Room with lockable door! You don’t have to float naked, but the idea is not to feel any sensation on your skin so in the name of research your intrepid Muddy correspondent *ahem* dropped her pants. Your Float Room has a shower, hangers for clothes, chair, table etc. in fact it’s like a cosy little hotel room, only with a pod instead of a bed. Inside your pod there’s a light switch – you can float with a calming blue light, gently colour-changing lights or total darkness – a neck pillow and a spray bottle of pure water to wash away any salt water that accidentally gets in your eyes (it stings quite a bit so don’t do what I did and rub your eyes as soon as you settle in. Graduate First Class Honours, School for the Gifted). You’re given ear plugs and there’s a shower in your room so you can shower before and after. The water is kept scrupulously clean. It’s filtered after every use – four times through a 1 micron filter that catches anything 100 times smaller than a human hair. The water is also tested two to three times a day to make sure Ph levels are correct. If you’re worried about feeling claustrophobic, I thought I would, but I didn’t at all. The pods are 8 feet long by 5 feet wide and I was lying in a kind of starfish position, slightly bent at the elbows, and my hands and feet only just touched the sides. When I stretched my arms up over my head I could just touch the roof of the pod. You can leave your lid open, it’s totally up to you, and you’re in complete control and can get in and out of the pod throughout your session. Music plays in the pod for the first 10 minutes, then it’s total silence for the next 45 and music plays again for the last 5 minutes to let you know your time is up. I took about 10 to 15 minutes to settle into a position that felt comfortable for me and by the time the first 10 minutes of music had trailed off I was totally relaxed and enjoying my experience. The light made me more aware of the enclosed space, so I switched it off and floated in total darkness. Because the water is kept at body temperature (about 39.5 degrees) it feels warm to start and then you kind of forget it’s there as your body adjusts to the temperature and it becomes hard to tell where the water ends and your body begins. I occasionally splashed my toes a little or sunk my arms into the water just to reassure myself I was still whole. It was an odd sensation but one that I slowly got used to, the water was silky smooth and I felt like I was suspended in a thick gel. You just have to sink into it and let go. Trip out man. You don’t sink by the way, it’s impossible with that amount of salt. And this also prevents you from flipping over or going under if you fall asleep. If you’re worried, Michael keeps a close watch on the pod monitors he has at the Reception desk. I didn’t fall asleep but I did have a strange sensation of not knowing if I had or not. That lovely drowsy sensation when you’re just dropping off and you’re in a halfway house. When my time was up I showered, dressed and then went to the Quiet Room where Michael brought me homemade apple and elderflower sorbet, cucumber water and mint tea. 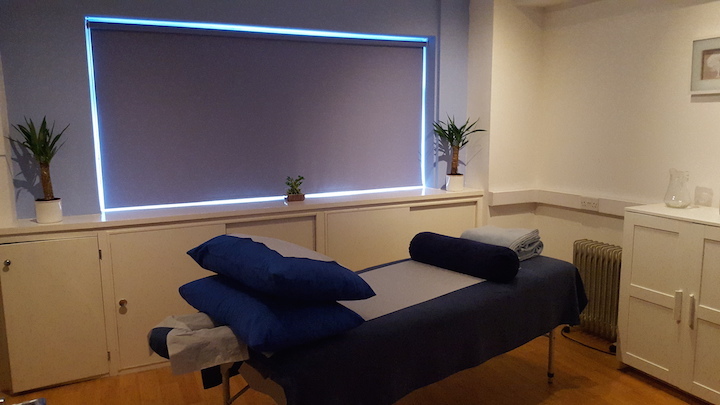 I was very *very* relaxed and almost dopey but after about 10 or 15 minutes I began to feel really energised. Michael says this is quite common and some people float to help with their creativity. Michael walked in on one client in the Quiet Room who had plugged in their electric guitar they’d brought with them and started playing and writing music! So who else floats and why? 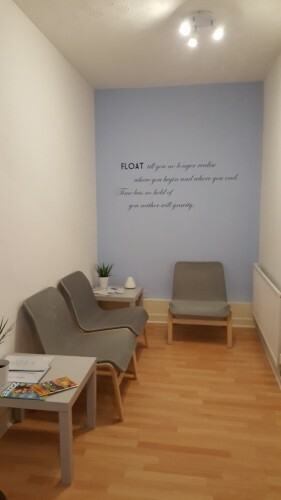 People float for pain relief, weight loss, self-hypnosis, deep relaxation, or floating away from depression and anxiety, habits or addictions. Pregnant women are safe to float after the first trimester, apart from the obvious relaxation benefits, the salt in the water is good for reducing swelling. And as a bonus, if the baby decides to come early you’re in the perfect place for that water birth you’d always dreamed of. 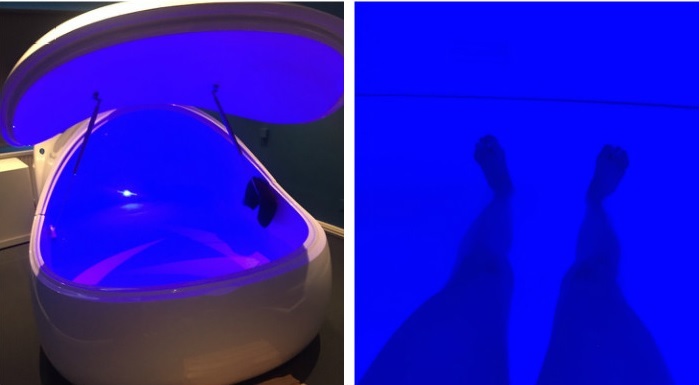 More and more athletes are turning to floating for the benefits it provides including deep muscular relaxation, accelerated healing of injuries, enhancing performance using visualisation, helping with fatigue, and improving oxygen circulation. Floating Point sponsors the Bracknell Bees ice hockey team who are regular floaters, and lots of other sportsmen and women visit the centre. Would I do it again? Absolutely. I felt calm and well-rested for the remainder of the day, like I’d been on a long weekend break. I can see how it can become addictive. I also felt my aches and pains (clicky ankles, sore shoulder, aching lower back, the list is endless…) had been eased away. 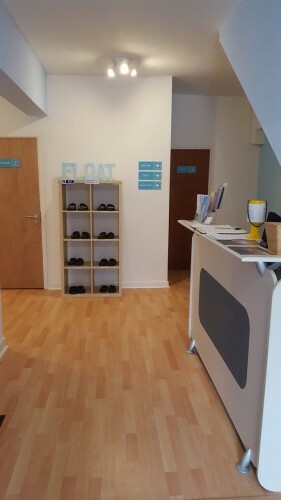 An hour’s float is £45 but the centre does various packages including three floats for £120; a float and massage for £65 and some good value membership rates if you want to float regularly. I think it would make a really nice (and very different) present for a stressed out husband, mum-to-be or me, me, ME! So did I feel like I’d had 4 hours’ deep sleep? Yes, I suppose I did, in that my brain had lost that cotton wool feeling and I felt refreshed and energised. I used to think only nuns or monks had the ability to achieve a fully focused, zero-distraction mental state but now that I’ve floated, I know differently. If you’ve never floated before, keep an open mind and give it a try, I’d really love to know what you think. Right, I’m off to walk barefoot in the garden and make a daisy chain. Peace out.